Sony has released PlayStation 3 software update v2.41 – and this one should bring the likes of the in-game XMB and trophies without turning your beloved console into a brick. 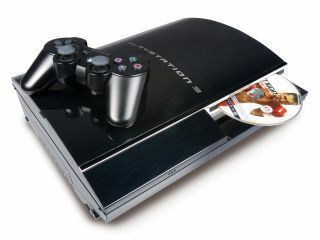 Version 2.4 was one of the most eagerly awaited patches for the PS3, but problems with the software upgrade meant that many users found that it rendered their console unusable, normally know as bricked. However, Sony has rushed out a patched update that fixes the problem with the Eric Lempel on the official blog stating: "As many of you know, we released PS3 firmware update v2.40 last week, but had to take it offline temporarily because, for a limited number of users, the XMB wouldn't display after the update was installed. "We've been able to fix the problem, and I'm happy to report that firmware update v2.41 will be released shortly. "We want to extend our apologies to the PlayStation community for any inconvenience. Now we'll be looking forward to seeing everyone online and racking up those trophies!" Version 2.41 allows users to access their cross media bar (XMB) from within a game and Trophies – a way of tracking and displaying in-game achievements. The update has now gone live.